Fuggle hops are probably the most British hop out there and at one time made the vast majority of British hop growing until the mid 20th century. Since it introduction in the end of the 19th century (more about it below) it had migrated and reached across the pond, creating two variations on the hops: the British Fuggle Hops and the American – varying in alpha acids and aromas. Originally Fuggle hops were exclusively bittering hops in a time that hops were used mainly for preservation rather than aroma. Over the years, the lower alpha acids compared to other hops lead the Fuggle to become an aroma hop variety with a very unique and British character. Use Fuggle to make classic British ales and milds, giving the beer an earthy and grassy aroma, especially when used both for bittering and aroma. 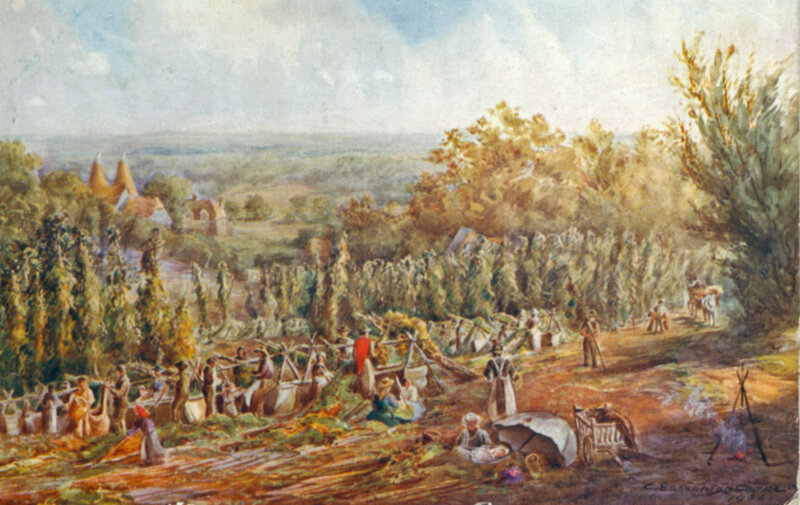 The true history of the British Fuggle hops is a bit cloudy, originally been attributed to George Stace of Horsmonden, Kent and then been wildly introduced by Richard Fuggle of Brenchley. 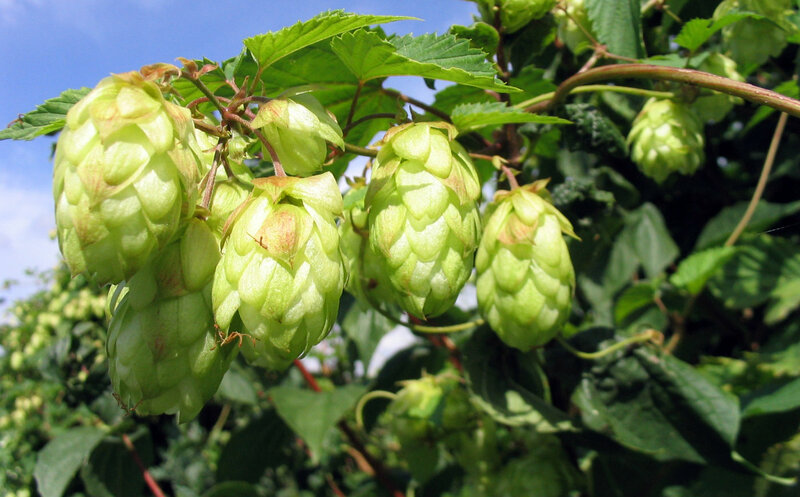 This story has been generally accepted by many since the 1901 article written by John Percival called “The Hop and its English Varieties” was published in the Journal of Royal Agricultural Society of England (vol. 62). In 2009 a couple of articles, first by Kim Cook and then by Martyn Cornell challenged that origin story and later in 2014 Martyn Cornell published another great article revealing more information about the Fuggle family and their connection to this hop. What we do know is that the Fuggle hop was a native to the Kent region in south-east England as it grew well in the thick, clay-heavy soil. The introduction date of the Fuggle is unclear but by the time the 20th century arrived, Fuggle hops were the most largely used and grown hop variety in the UK. By 1949 Fuggle hops made 78% of the British hops growth but was then eradicated by verticillium wilt which devastated British hops. The British Fuggle is now grown in south England with the American counter growing in the Pacific Northwest; there is another Fuggle strain grown in Slovenia under the name Styrian Golding. The Fuggle hop contributed to the creation of the Cascade, Willamette, and Glacier hops. The Fuggle plant grows best in temperate, wet climates with mild winters and can grow well in stiff, clayey soil. It has moderate grow rate and will reach maturity earlier in the season. The yield is relatively low (1050 – 1350 kg/hectare) and the hops are yellow (Lupulin) with a medium size cone that is moderate to compact. The plant is susceptible to Verticillium Wilt and resistant to Downy Mildew. Mainly used as aroma hops with lower alpha acids but when used as a bittering hop provides useful roundness and a unique British bittering character that has herbal qualities.